It’s all laid out before you, from left to right. 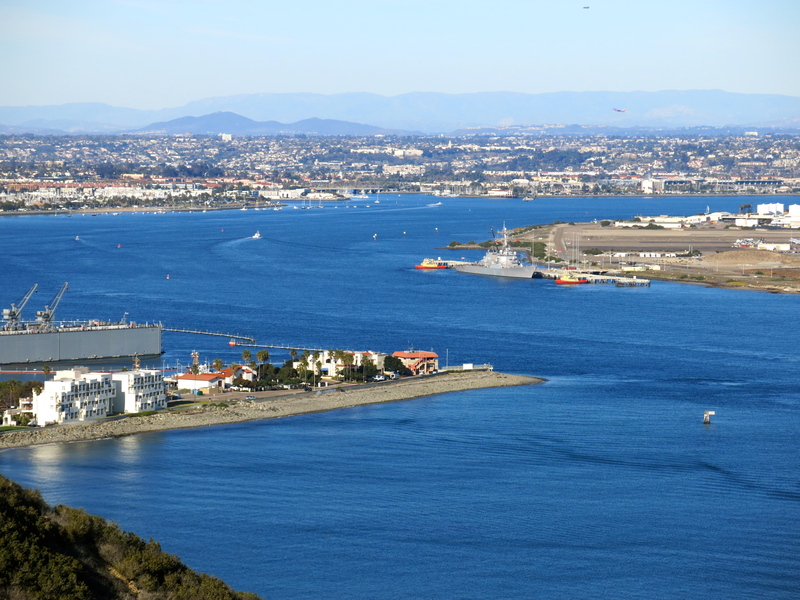 The submarine base in Point Loma hundreds of feet below. 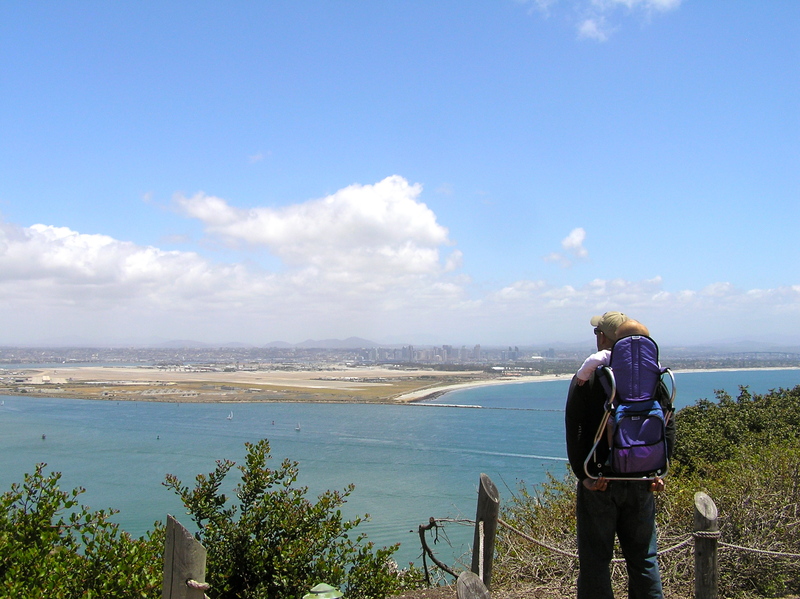 The bay surrounded by San Diego villages and suburbs. 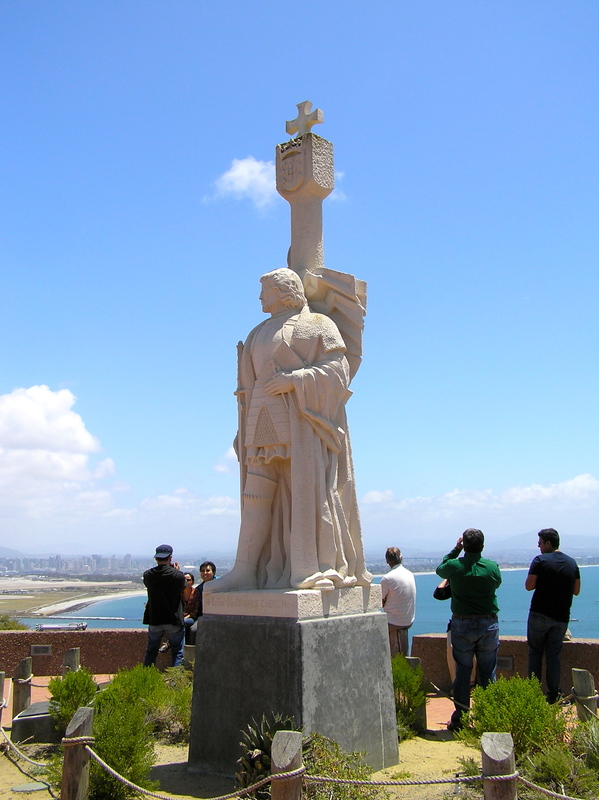 From this height, one can see the mountains in the distant east and follow them south into Mexico. 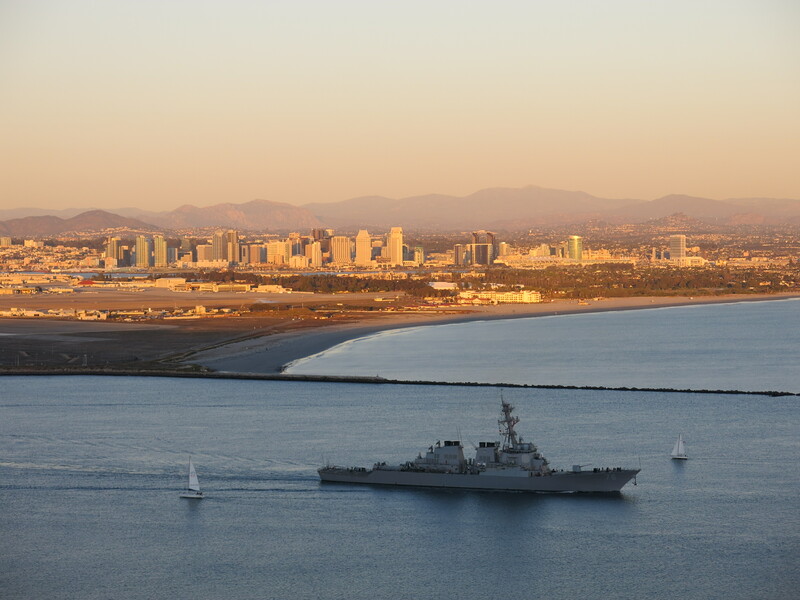 The Coronado Bridge in the foreground, which looks surprisingly small from this distance. The Hotel Del Coronado with its notable red roof and spires, sitting calmly at the water’s edge. 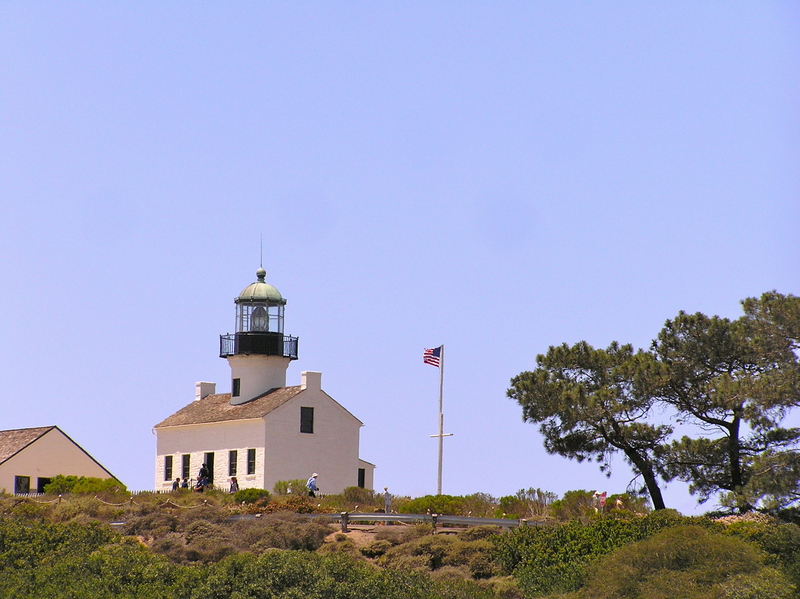 From the foot of the Cabrillo statue, the only sounds are the gulls and the wind – and the occasional voice over the loudspeaker announcing the showing of an educational film in the visitor center theater or describing a U.S. Navy vessel passing down below. And the soft click of cameras as tourists, locals, nature park enthusiasts, veterans, bicyclers and anyone else who just can’t pass up a good viewpoint takes in the vista. This is one San Diego spot not to be missed. 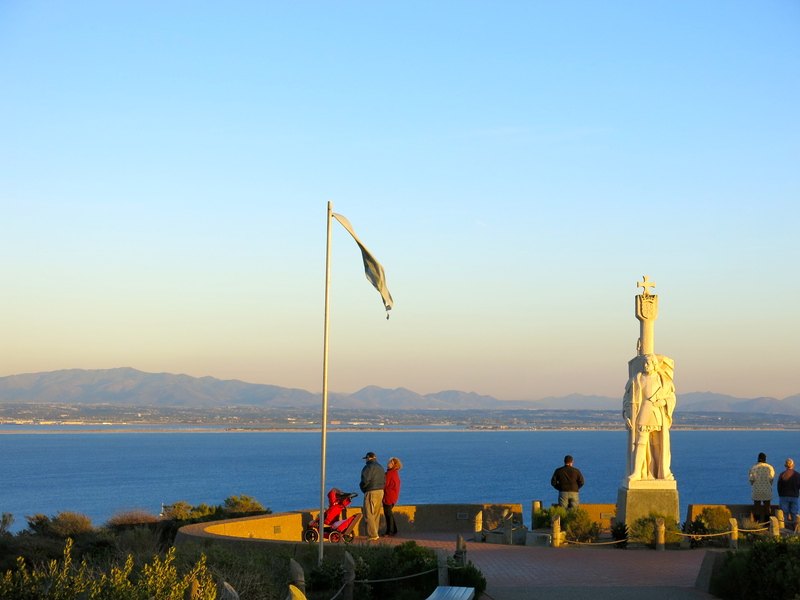 Aside from the statue of Cabrillo, the first European to set foot on the West Coast of the United States, the national monument is also host to several walking trails and a small tide pool area on the Pacific side of the peninsula, a fun area to explore with children. The national monument website contains a wealth of historical and practical information for visitors. I highly recommend the visitor center gift shop, which contains a wide variety of educational material for children. The following photos were taken on two different occasions.